St Louis Pump Sales & Pump Repair | Claypool Pump & Machinery Co., Inc.
With a complete selection of pumping equipment for any application, Claypool Pump & Machinery offers you pre-sale design, support and consultation backed by more than 65 years of experience in the industry, right from our St Louis, Missouri facility. When you need reliable service and a timely solution from a knowledgeable St Louis pump company, choose Claypool Pump & Machinery. We provide you with rush options and fast repair turn-around times. 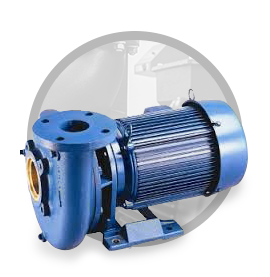 With extensive background in all types and brands of pumps, we are an authorized distributor of Aurora, Hydromatic, Vertiline, Canariis booster systems, as well as American Wheatley HVAC products. 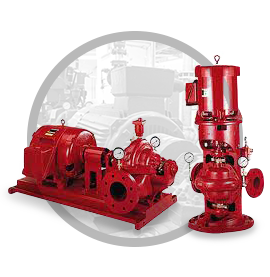 As part of our personalized approach to every pump project, Claypool Pump & Machinery’s pump experts can even diagnose and troubleshoot your existing fire pump system. Our St Louis pump sales are backed by more than a century of combined experience. ANSI, End Suction (Close and Flexible Coupled), Split Case, Submersible, Non-Clog, Wet/Dry Pit, Regenerative and Vertical Turbines, Metering, Mag Drive, Multi-Stage, Drum, Trash, Trailer Mount, Propeller, Diaphragm, and Fire. Control panel parts, electric motors, diesel engines, PRV’s, flex connectors, mechanical seals, couplings, fiberglass basins, pressure switches, basin covers/access hatches, suction diffusers, gauges, expansion tanks, air separators, and heat exchangers.